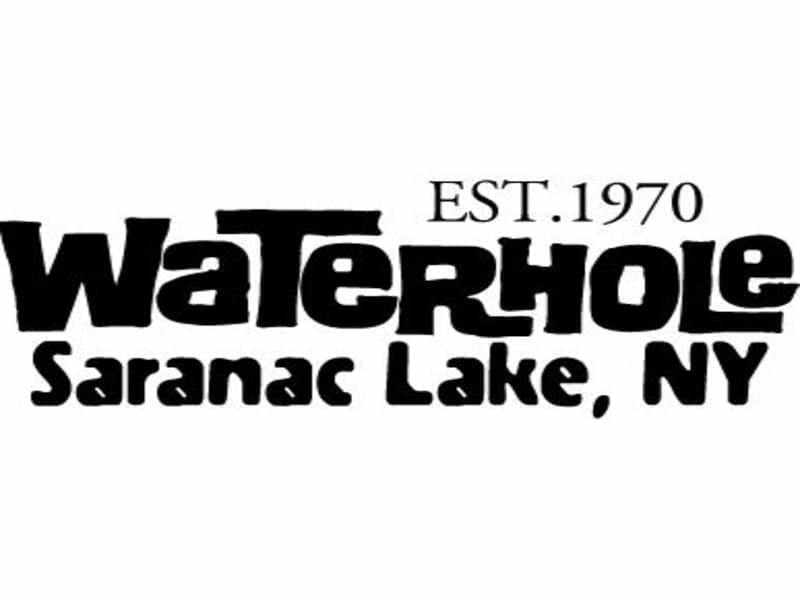 The Waterhole’s free live music series Party on the Patio continues this summer and turns the Adirondack village’s Main Street into a block party every Thursday night. Every Party on the Patio is free and with Happy Hour running from 4-7pm each Thursday, there will be various drink specials as well. Locals and fans often gather outside the fence enclosing the patio area with dogs and children to take in the tunes as well. On rainy evenings, bands will move into the Waterhole’s upstairs music venue. Doors open at 6pm, music starts at 7pm and goes until 10pm. The season series started on April 19th and goes until October 4th. 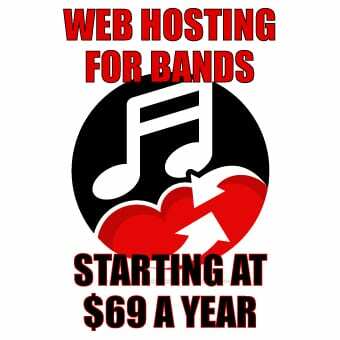 Since the 1990s, national acts such as Soulive, Bela Fleck and the Flecktones, moe., Ominous Seapods and the Del McCoury Band have graced the Waterhole’s stage, among countless others in the 20 years the venue has been hosting music. 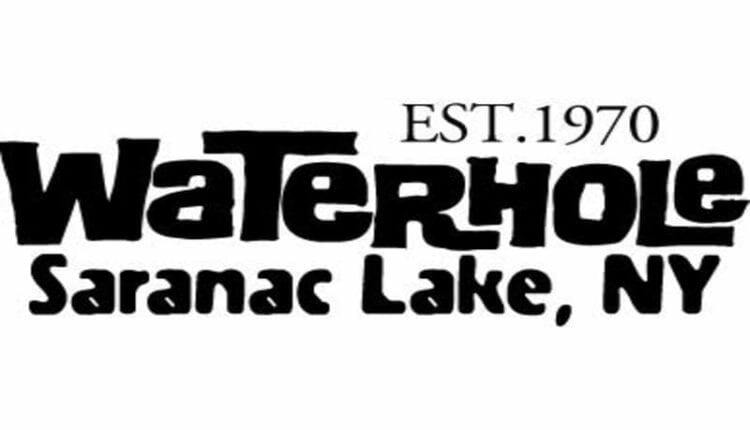 Owner Eric Munley’s continues a tradition of music at The Waterhole that has been praised by fans both in and out of the Adirondacks for continuing to the live music pumping in the North Country. 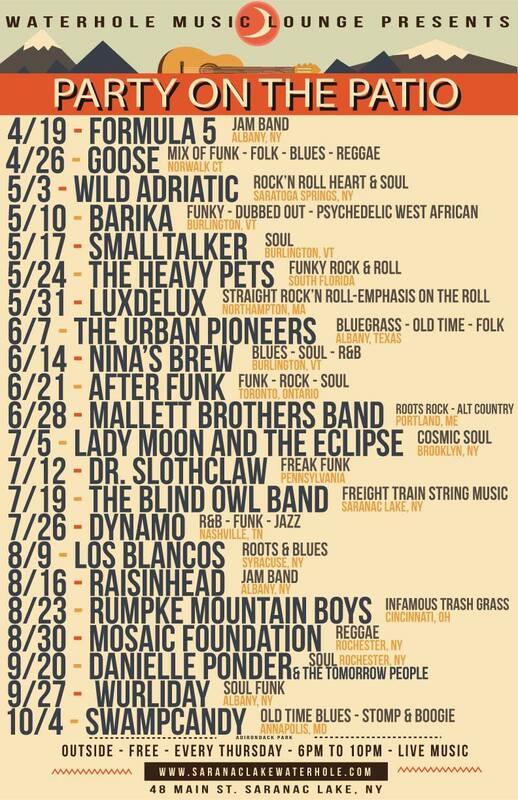 Check out the musicians coming to The Waterhole this summer for Party on the Patio!